David Hannay/Tony Williams Productions - 96 min. Cast: Lisa Peers, Vincent Gil, Perry Armstrong, Martyn Sanderson. Crew: Screenplay: Tony Williams, Martyn Sanderson; Photography: John Blick; Aerial Photography: Steve Locker-Lampson; Editor: Tony Williams; Music: Dave Fraser, Robbie Laven, Marion Arts; Producers: David Hannay, Tony Williams; Director: Tony Williams. 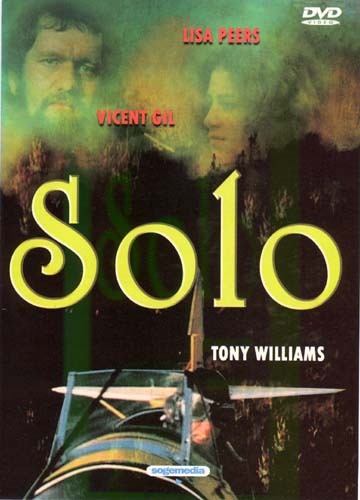 When a young Australian hitchhiker, Judy (Peers), enters a prohibited forest area, she encounters Paul (Gil) whose job is spotting fires from a plane. She is invited to stay with him and his teen son, Billy (Armstrong). Later they go on a sightseeing flight in a "Tiger Moth" bi-plane, but having a forced landing, are accommodated by an odd elderly couple. The only interesting acting here is Billy and the elderly couple. The aerial scenery is most enjoyable, but the story and direction/editing is second rate. New Zealand's second contemporary feature film as an Australian co-production. No known source for new copies in NTSC. Used NTSC copies will sell for about $9us. New PAL VHS copies sell for $40nz. 25 November 2007 - An R0 PAL DVD is available from Spanish sources, along with a few other New Zealand films that are available from no other country, including New Zealand. This dvd is presented 1.33:1 with Spanish 5.1 and the original English 2.0. It also has Spanish subtitles and includes some Spanish text bios and still photos. It usually sells for about 15eur. One source that is offering this disc is DaaVeeDee.com for about $18us. 1978 - Asian Film Festival (Singapore) - Merlion Award for Most Outstanding Music (Dave Fraser).